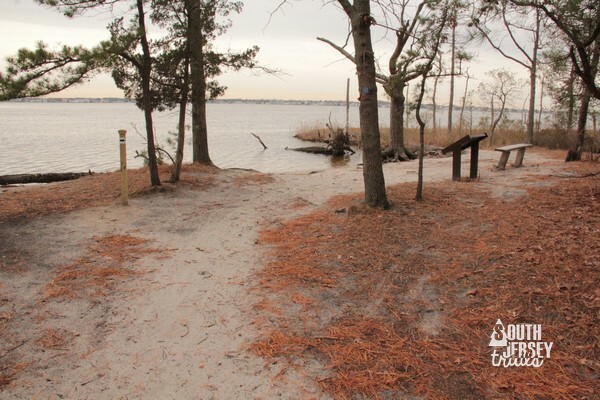 So, in celebration of five years, we present the Top 20 Trails in South Jersey! 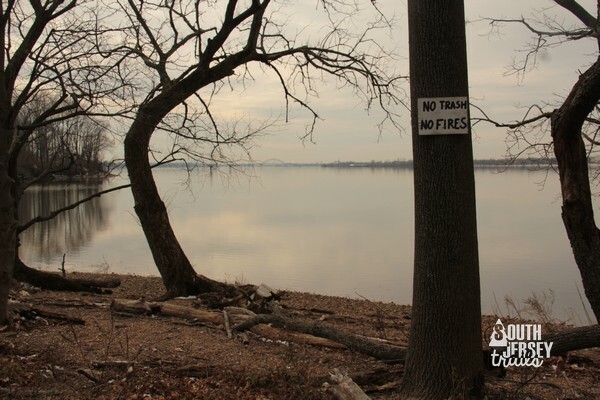 Beautiful views of the Delaware River? A good look at the Philadelphia skyline? Tons of birds (including bald eagle sightings)? Woods, swamps, and a community garden? Beaver lodges? This is four miles of beautiful hiking on the only farm on the Delaware River between Camden and Trenton that, luckily for us, doubles as a nature preserve. Totally worth a visit. 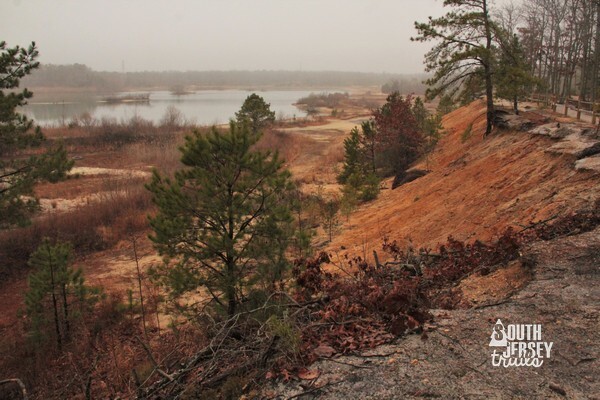 What happens when you take an old quarry and turn it into a town nature preserve? Amazing, that’s what happens. The trails looping through the pine trees are nice enough, but down by the lake is my favorite part. There, you can enjoy the birds that make this place home, while taking in the beautiful view of the lake under the embankments. Even the leftover concrete piping (with obligatory graffiti) feels picturesque here. 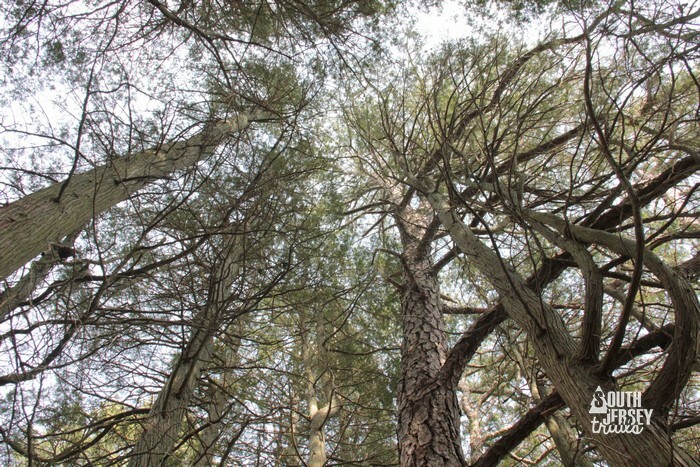 The town of Wenonah, NJ is only one square mile… but has 6 miles of trails. And what trails they are too, as they meander up and down along creeks around the edges of town. Sadly, some beavers moved in a flooded out part of the trail system. Wait, did I say sadly? I meant awesomely, because they (the town, not the beavers) built a brand new boardwalk over the flooded out section. 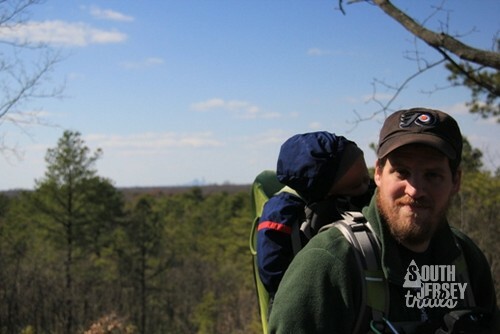 South Jersey Land and Water Trust does a lot of good work for nature across South Jersey, and many people participate in their guided hikes and their trail clean ups. But they also own a preserve in Swedesboro – Oldman’s Creek. At this old Boy Scout camp, you can explore miles of varied trails, take in the creek, and stumble across the remains of old cabins. Some nice swamp and big trees too! In terms of visitors on our website, this is far and away the most popular trail. With beautiful (mostly paved) trails winding through a lovely patch of woods, why wouldn’t it be? The highlight for most is at the top of the hill, where the Philadelphia skyline can be seen in the distance. Want to see a bald eagle? How about beautiful salt marshes? This place has plenty of both, plus beautiful stretches of forest and boardwalks over said marshes. Well worth the drive deep into Cumberland County. You won’t find much nature on these trails, but you’ll find a lot of climbing up and down steps. 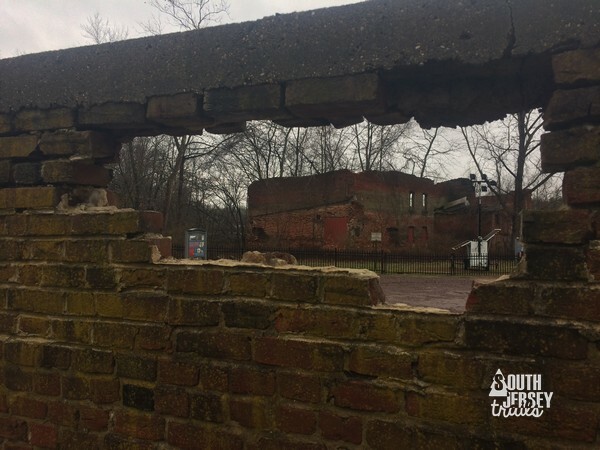 That’s because these two trails cover different sections of the fortifications at Fort Mott, built to defend Philadelphia from an attack up the Delaware River. Along the way, you’ll have a chance to see gun emplacements, magazines, and the workings of a well-designed coastal battery. 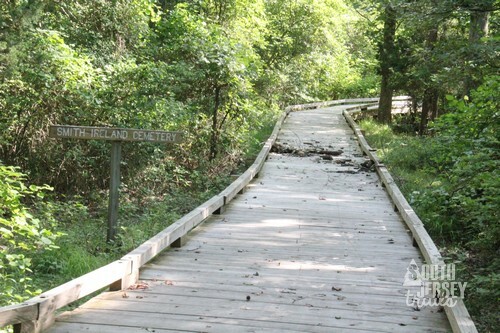 What’s even better than a boardwalk trail along a river that traverses swampland? A boardwalk trail along a river that traverses swampland AND passes by the remains of a World War I munitions plant. 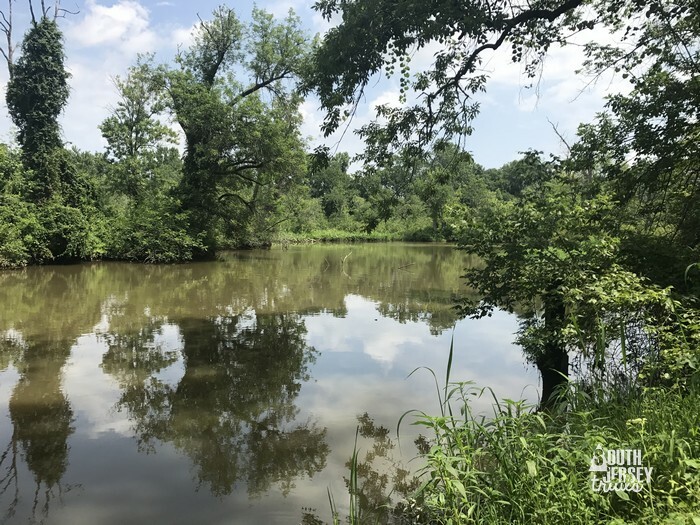 Estell Manor Park and it’s 20 miles of trails sits right smack on the location of the Bethlehem Loading Company, meaning you can enjoy nature while keeping a sharp lookout for the many remains that fill this park. The other side from the swamp trail includes a veteran’s cemetery, the remains of the old Estellville Glassworks, and some picnic areas and playgrounds. The shortest trail on our list, but a really pretty one. The nature trail here loops around and through the old cranberry bogs. The property includes most of the old farm buildings too! Rancocas Creek State Park is a jewel of a place. The best part is that it comes in pieces for multiple adventures! Above the creek lies half the park (until recently the Rankokus Reservation of the Powhatan people) with miles and miles of walking trails. 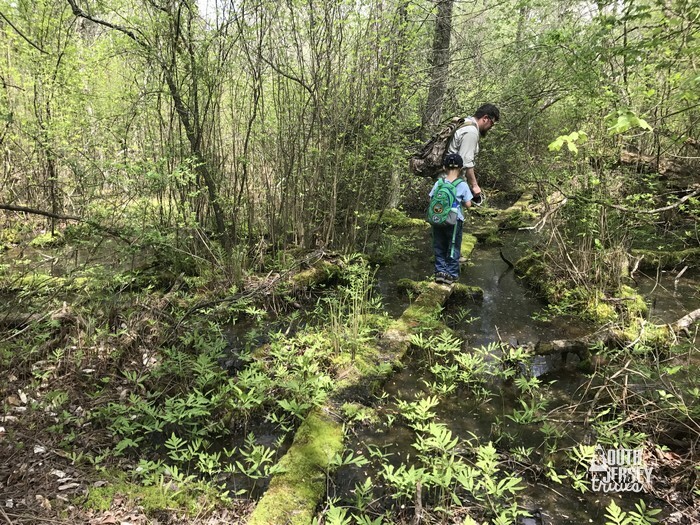 Also above the creek on the property is the Rancocas Nature Center with their own three miles of lovely trails, plus a great nature center and nature programs for people of all ages. 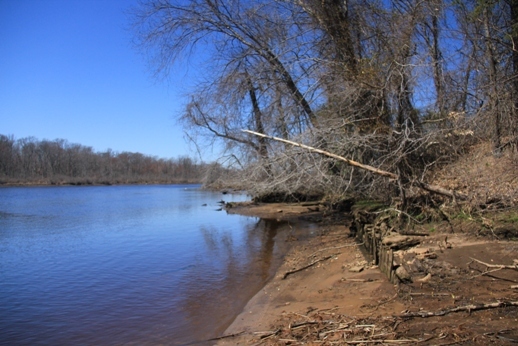 Below Rancocas Creek (and not connected to the other half of the park by anything other than water) is the south section of the park, which includes eight miles of hiking trails along the banks of Rancocas Creek. 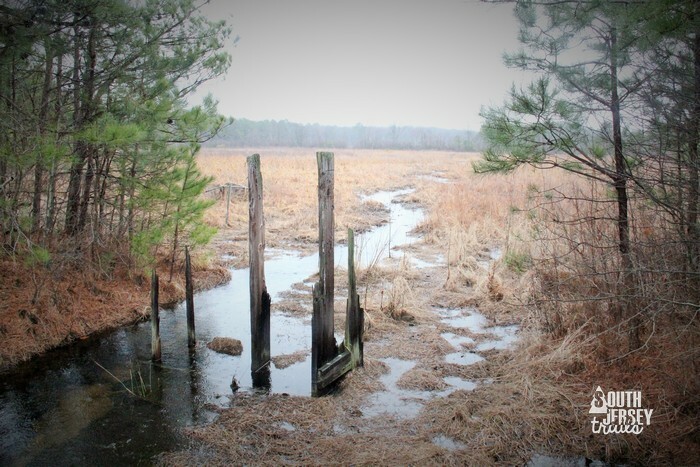 Among the woods and swamps are the remains of sand mining operations and some old homestead sites. 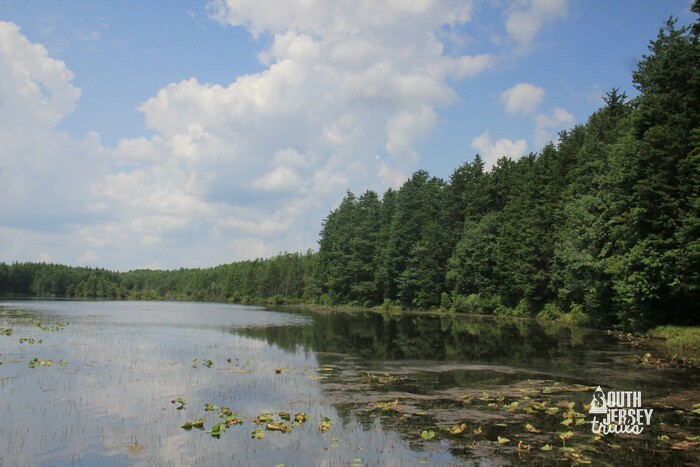 This town park features an ever-expanding web of trails through old cranberry bogs. Lots of plants, birds, and animals to check out, and a variety of landscapes from swamps and wetlands to wide-open fields! One of our favorite spots! 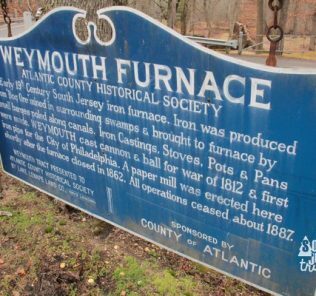 A gem of the South Jersey, even if the trail markers can be confusing. 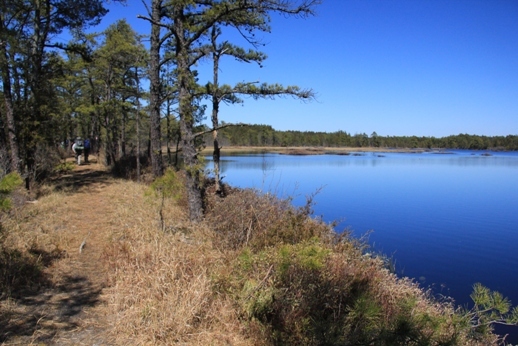 This trail starts at Pakim Pond, heads many miles out to the Pinelands Center at Mount Misery, then doubles back through some stunning bogs to the Cranberry Trail, which takes you right back to Pakim Pond. 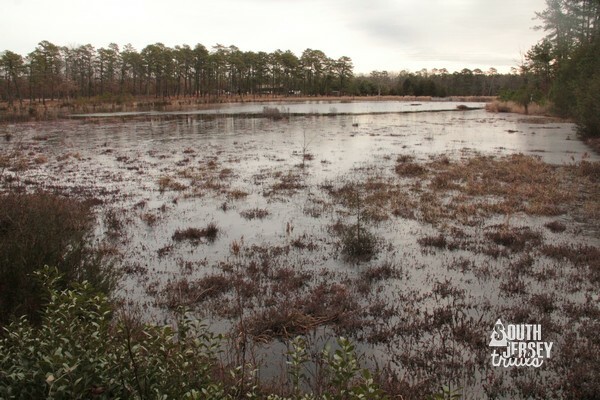 Along the way, you’ll find my biggest weakness – cedar swamps. What do a bicycle railway, a floating hiking bridge, a wagon pulled by a team of moose, and picturesque factory ruins have in common? Historic Smithville Park near Mt Holly, of course (not to be confused with Smithville in Atlantic County)! Come here to hike just over four miles of beautiful trails, hike across a lake on a pontoon bridge (it’s awesome), and to soak in the history of the Hezekiah Smith industrial complex that turned out machinery and Star bicycles for decades. Sadly, the moose-pulled wagon is no longer a feature here! South Jersey is a stopover point for millions of migrating birds, and there’s so better spot to see them than Cape May Point State Park. 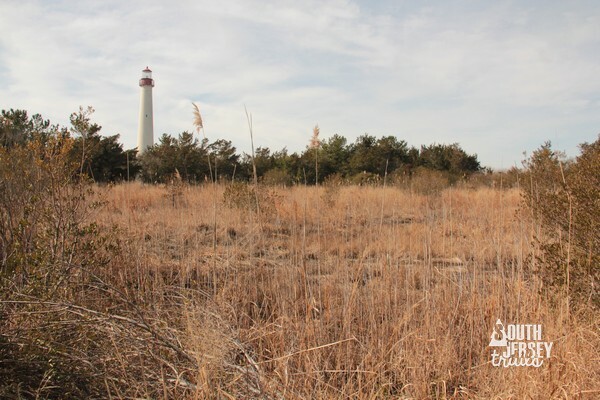 As if birds weren’t enough, the miles of trails here feature beautiful marshland, access to the beach, a World War II bunker, and the wonderful Cape May Lighthouse. 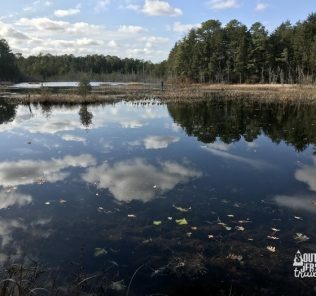 Over ten miles of beautiful pine barrens trails? Woods, hills, a lake, and cedar swamps? Wells Mills County Park has it all (literally has it all, including a trail for the blind)! Our favorite here is the 8 1/2 mile long Penns Hill (or Macri Trail), which is especially great when the blueberry bushes are in season. This place has quickly become one of our absolute favorites. 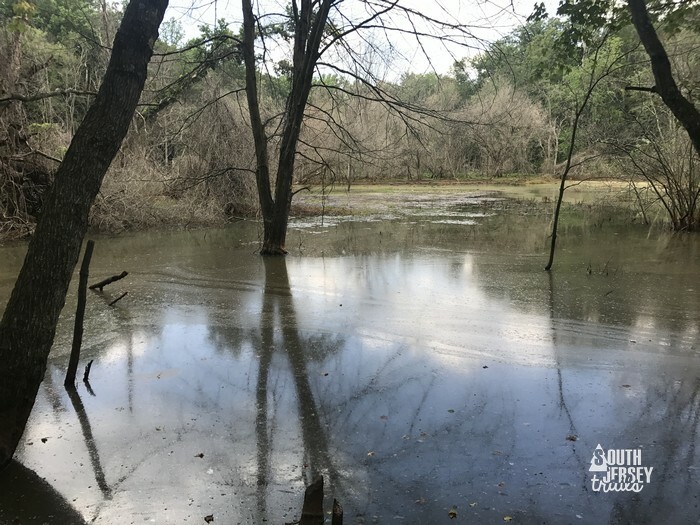 The trails might have some blow downs, and some of the bridges can be a bit challenging, but this BEAUTIFUL piece of private property has been conserved for hikers, artists, and birders. There are beaver here and river otters and bald eagles. There are deer and turtles and birds of all kinds. It’s all private, and you need to call ahead for an appointment to visit here, but it’s a wonderful place, well worth not only visiting but supporting. 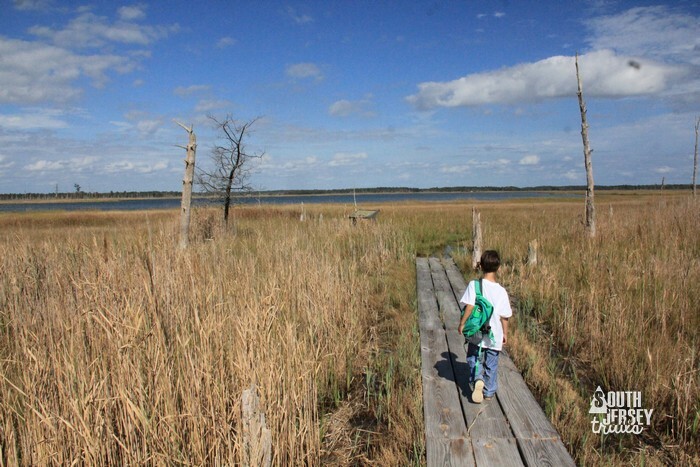 These trails wind along the backwaters of Barnegat Bay, and it’s stunning. 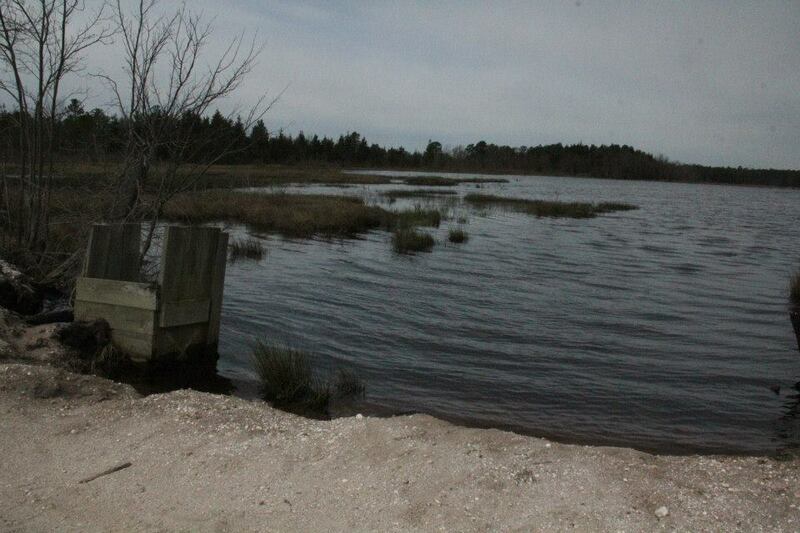 Great views of the water, a good mix of forest and marshland, and lovely boardwalks over the water. A great spot to go birding, or just to immerse yourself in nature. The nature center here is supposed to be top notch as well, but re-opened just after we visited… which sounds like a great excuse to head back! 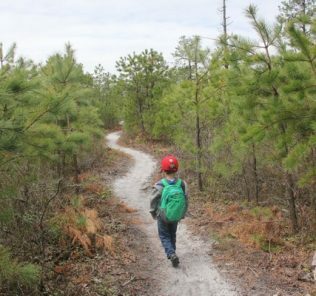 At 53 miles long, the Baton Trail is South Jersey’s premier (also, only) long distance hiking trail. But you don’t need to be able to backpack 53 miles to enjoy it, there are many great day hikes you can do on it. The nicest is the “Parker Preserve Reroute”, 8.3 miles (one way) from Apple Pie Hill to Route 72. 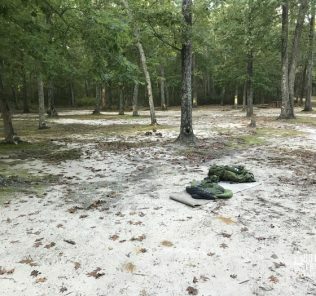 Along the way, you’ll have a chance (if open) to climb to a point high above South Jersey where the Philly and Atlantic City skylines can be seen, traverse beautiful pine barrens, hike past old cranberry bogs, and cross over a swamp on a series of planks. “Love” is not a strong enough emotion for how I feel about this trail… and it’s only #3 on the list! 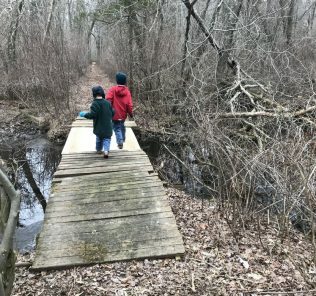 If I had only discovered this trail through doing this blog, the whole project would have been worth it. These beautiful (and hillier than I’d imagined possible for South Jersey) trail system winds along a bluff that overlooks the Maurice River deep in Cumberland County. You can spot all sorts of birds here, including bald eagle, but the walk through the woods along provides for a stunning outing in South Jersey. As hard as this list was to put together (really, really hard… just so many wonderful trails to choose from), the number one choice for this list was the easiest pick I had to make. The Red Trail in the Parker Preserve near Chatsworth is amazing. 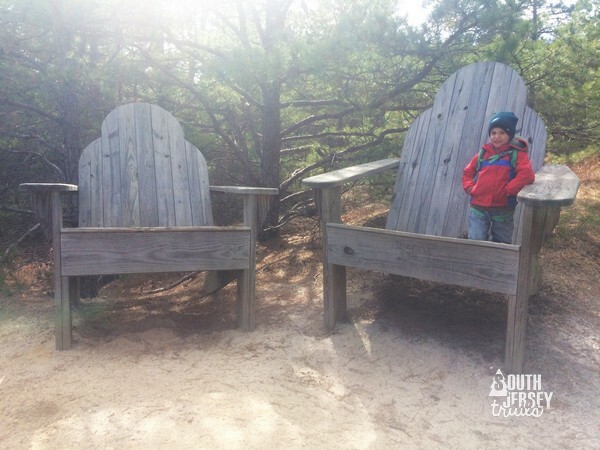 This 6 mile trail goes through beautiful patches of pine barrens and along old cranberry bogs. BUT, it also features a beaver dam, great places to look for birds, fun little bridges, and amazing spots to watch sunsets. But the two things that make this stand out are the huge Adirondack chairs halfway around the trail and the Indiana Jones style suspension bridge over the Wading River. A HUGE thank you to everyone who’s had anything to do with us these last five years! 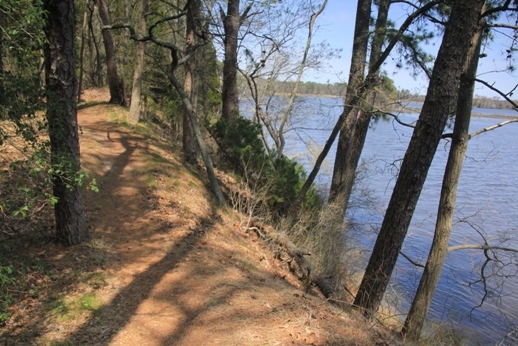 What’s your favorite trail in South Jersey? Comment below, rate any hike on this website, or join the conversation in our Facebook group! Atlantic County, Burlington County, Camden County, Cape May County, County Park, Cumberland County, Delaware Bay, Fitness, Gloucester County, Hiking, History, Monmouth County, Ocean County, Outdoors., pine barrens, Salem County, South Jersey, State Park, Town Park, Wildlife. Wonderful works on your email, but the Oldman’s Creek Preserve is actually in the town of Auburn (though they might use a Swedesboro mailing address) in Oldman’s Township, Salem County. This info might be useful to readers trying to locate it on a map or GPS. Please keep up the great work! Even though my hiking is limited because of age and infirmity, I still enjoy reading about your adventures. Woooh hooh!!! Excellent work. And even better hiking. 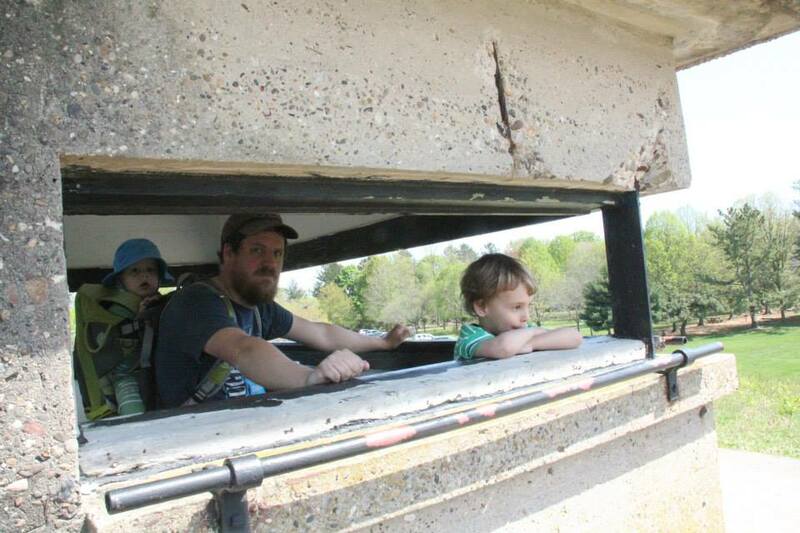 Thanks for including the Rancocas Nature Center in your post. Our volunteers work hard to get people outside. Great post! I live in Ohio., but your photos and words make me want to visit and do some hiking. I love seeing the family involved. I love your website; So much information and places to go walk/hike! My one comment would be to add whether or not the park/trail is dog friendly. Some are, and then again, some are not. I tried to walk Chestnut Run, and Washington Lake Park, both of which are NOT dog friendly. However, we just finished the three legs of Elephant Swamp Trail, and my three pups and myself are looking forward to more trails when the weather finally cooperates. Thanks for the work and words about what to expect when we get there! The Monroe Township Bikeway is absolutely the most beautiful in the state. Much of it is shaded and there are few intersections as well. It’s not the number of miles (7) that matters. It’s the quality of the miles. This is great! I’ve been looking for places to get out with my 5-year-old son to get him into the outdoors. We will have to start working our way through this list.